Stop allowing pressure to rule your life, this subliminal album can give you the edge you need to stay calm under pressure. Do you get so nervous when you're under pressure you end up making costly mistakes at work? Do you sometimes make relationship problems worse because you have a hard time dealing with issues if you feel pressured? Do you fall short when competing in sports or other competitive activities because of the pressure? Do you end up not getting higher scores on exams because the pressure to score high and pass makes you so nervous? Do you feel like you're missing out on a lot of opportunities and experiences in your life because of your inability to handle pressure? If you have a high pressure job, are involved in sports, or just seem to get a little nervous when it counts then this subliminal album will help you. The ability to stay calm under pressure comes naturally for some and not so much for others - some people even thrive on pressure and perform to their peak. This album will rewire your mind to work in the same way. Instead of getting worried, nervous, and even making mistakes when under pressure you will feel alert, focused, and eventually you will enjoy pressure - you will work better, and perform better when under pressure. 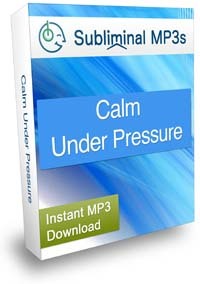 The ability to stay calm, confident, and in control at all times will help you in any area of life, no matter what you are pursuing - whether you struggle with social pressure, pressure to meet educational deadlines, pressure at work, or in sporting events - this album will help you calm your mind and give you the best chance of success. Within days the messages on this album will help you deal with pressure in a brand new way. You will no longer let pressure cloud your ability to think clearly when you're in high pressure situations. You will feel new urges to adjust your focus and cope with any situation you find yourself dealing with at the time. Your new ability to stay calm under pressure will have a domino effect in your life. The improvements you will enjoy will help you at work, socially, with your family life - in all different situations you find yourself in you will deal with stress better and find yourself much more naturally calm. 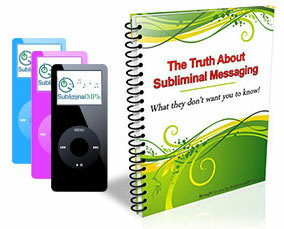 This subliminal album will change your perspective and you will welcome pressure and may even become more competitive and find yourself performing much better under stressand that's just the tip of the iceberg! Stop making bad decisions at work whenever pressure starts to build up. You will be able to handle deadlines and make much better decisions. Become more productive right away. Because you are able to focus better this will allow you to increase your productivity, get things done and take action simply when you need to instead of worrying, getting stressed and panicking. Meet demands while under pressure and get the upper hand in business and in life generally and help you to stay ahead of the competition and your peers. Change the way you deal with relationship pressures, instead of losing your cool you will be able to think things through and have a calm conversation with your partner. He or she will instantly notice how confident and relaxed you are and will be more willing to work with you instead of against you to solve whatever problems you may be experiencing. Perform better when taking exams, you will no longer wilt under pressure instead you will thrive under pressure! Since you will no longer be distracted you'll be able to get the high marks you know you're capable of getting. This subliminal album gives your mind new fulfilling thoughts to focus on and will create urges to help you get things done during times of pressure. If you sit and do nothing, your life won't change very much but if you do decide to act on the new impulses and let go of old negative beliefs your life can change in ways you never dreamed of before! Download this album today and change your mindset towards pressure!